I can't believe it's Monday again, who stole my weekend? Why oh why does it just disappear so quickly! Don't know about you lot but realisation has finally hit me and I'm beginning to panic about how many weekends we've NOT got left before Christmas is here. I did a little bit over the weekend for the big day, but when I say a little I really do mean a little! I actually started off with a lazy Saturday morning, don't you just love those where you've not got to rush up for anything. Hubby brought me a cuppa, can't function until I've had one, and then we vegged out in bed watching Saturday morning kitchen in the hope that by watching it I'll magically become a good cook!!! Don't hold ya breath with that one. I titivated with the trees and decs a little and here's the finished articles. Tree number 1 in the lounge. After that we went to visit my mum and dad. Mum had a big op just over a week ago but more on that another time. It was great catching up with them and we then managed a quick cuppa with Nick's mum before dragging ourselves off to do a bit of grocery shopping, boriiiiiing! However, I was thrilled with a find in the new Sainsburys store we went to. I wanted to get a candelabra for the dining table on Christmas day and very nearly purchased one for £35. To my surprise Saino's had discount on this gorgeous one and I snapped it up for £13, yes £13, well chuffed! Ok so it's no designer brand but who cares for that price? 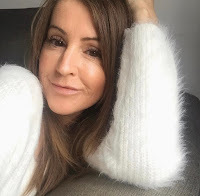 I don't know about you but sometimes I look forward to a Saturday night when we just stay in and do nothing but chill out and watch TV, with maybe a takeaway and the odd bottle of wine thrown it for good measure. Well, Mr C was out on Saturday night on yet another work do. I really had to force him to go of course, yeah right!! This was about his 3rd or 4th so far and it's not even the middle of December yet. He tell's me that he HAS to go to be social with his clients!!!!! Someone's gotta do it I suppose but I mean, really though where were my invites? Not had one this year to go along with him. How very rude you lot! I did have a lovely evening with Em chillaxing and watching celeb jungle and of course the Xfactor. Sunday, Mr c and I trundled off to Birmingham to try and cross a few things off our xmas list but the problem is when there as sooo many nice stores, not to mention the German market, you get a bit distracted from the task in hand don't you, and by that I mean making more purchases for yourself than others! Oooops. The Bullring is full of all the usual stores, including Selfridges which for some reason I seem to spend hours in, and then tons of other stores in the streets outside. 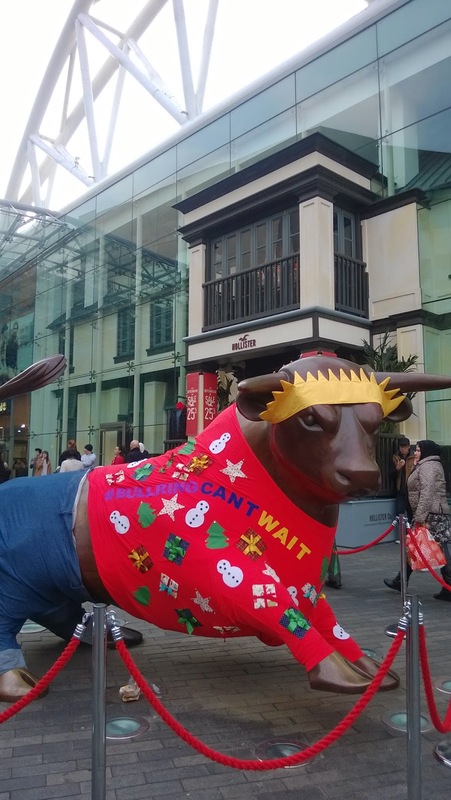 Mr Bull has his Christmas jumper on! To be honest when we got out into the streets and market all I wanted to do was go back inside, there were soo many people it was all we could do to shuffle along with the masses never mind walk! So what do you do when you can't get anywhere and seem to have come to a standstill? Jump into the nearest pizza restaurant that's what, take the weight off and have a glass of something that's sure to perk you up! Tummies full and thirst satisfied we ventured back outside and not long after that we went home. 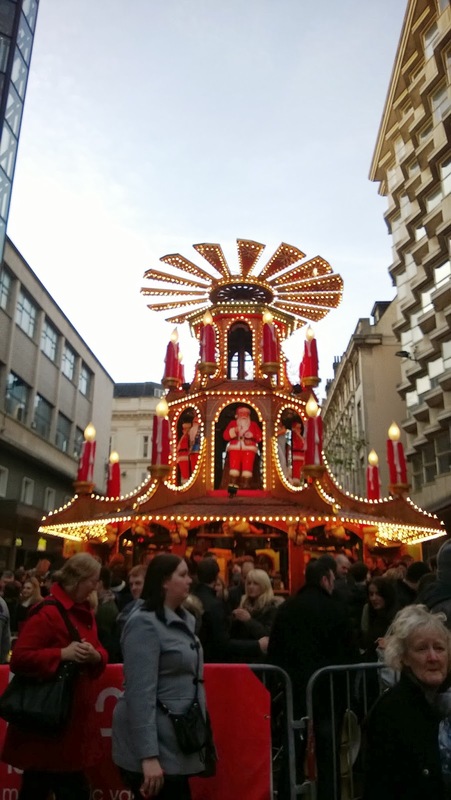 I do like Birmingham for shopping and it always seems like a good idea at Christmas time until we get there! I did get two presents you'll be pleased to hear but the rest was for me. Couldn't resist getting myself a candle from The White Company. I just love the scent of Verveine, gorgeously citrus-y but I was torn between that and the Winter one, that's also devine for this time of year. Oh I also got one of these from MUJI. It's an extra drawer for my acrylic make up storage box. As you will see below, until yesterday I had one drawer and then a drawer with lid on the top. A lot of my make up is packed away in my wardrobe at the mo and I was desperate for another level to get everything in. This sits in my bathroom and I cannot tell you how handy it is. The acrylic 2 drawer box with lid (wide) like mine is £10.95 and the extra drawers are £7.95. Don't know how it happened but these also jumped into my shopping basket! Ojon travel size shampoo and conditioner. £7 each. I've been wanted to try Ojon haircare for a while and found they did these travel sizes. Ojon products are quite expensive so these are a good option to try before you go for the regular sizes. I'm hoping it can work wonders on my limp and flat long hair. I'm hoping to come back to you with so much volume you won't recognise me! I'll keep ya posted. Hmm....now need to start ticking off the Christmas list! Bet you've done all yours haven't you?